How time flies! Today is the last stop of the Jacqueline Hoodie Blog Tour & Giveaway. Have you enter the giveaway yet? It is ending today at midnight Pacific time, so don’t miss out! You can enter via Stitch It Now. 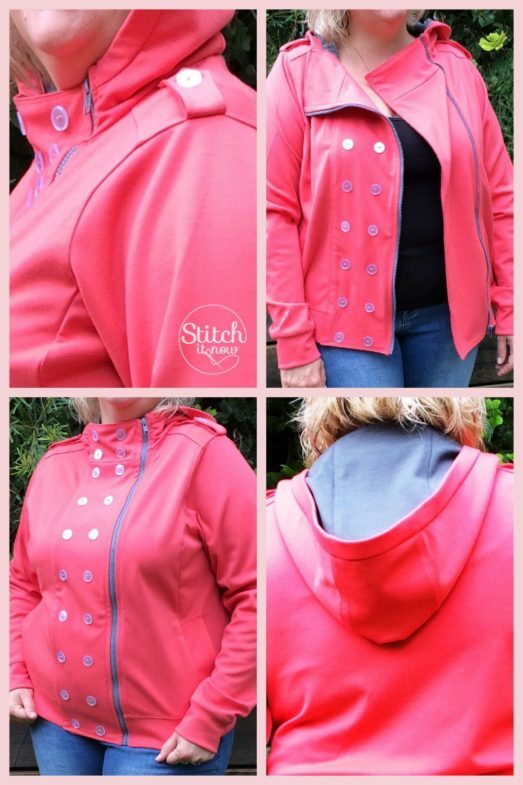 Over at Stitch It Now, Debbie gave great details on the making of the Jacqueline Hoodie. And the result is fabulous. Can’t you feel a rush of sunshine and happiness when you look at her coral hoodie? I do! Debbie is an amazingly engaging writer; I know you will enjoy reading it as much as I do.